BOCA RATON, FL: December 18, 2014 – Savor Our City, a rapidly-growing culinary-tour company, is about to start a new video series. Savor Our City™ Culinary Tours (www.savorourcity.com) is the brainchild of Boca Raton resident Denise Righetti. The company offers historical walking food tours through neighborhoods in Delray Beach, Boca Raton and Palm Beach Gardens, in which guests are treated to signature tastes from 4-6 notable restaurants. In just seven months, Savor Our City has grown rapidly. And Righetti says the new video series is a logical extension. Denise Righetti’s official title is CFO – Chief Foodie Officer. She traveled all over the world while working for Royal Caribbean Cruise lines, experiencing many cuisines. Later, as Marketing Manager for the largest property owner in Boca Raton, she worked with over 100 restaurants, hosting food-and-wine tastings, and writing a food blog and reviews. The first episode in the new Savor Our City video series will be filmed on Jan. 5 at Mussel Beach, on Atlantic Avenue in Delray Beach. Other restaurants are already lining up to participate. 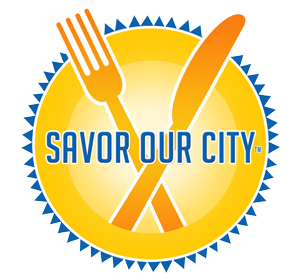 The video series will be hosted on Savor Our City’s YouTube channel and website.